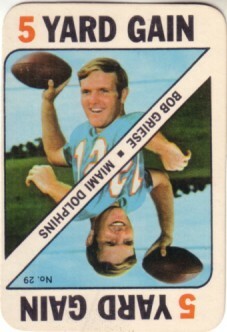 1971 Topps Game insert card of Miami Dolphins Hall of Fame quarterback Bob Griese (#29). Off-centered but otherwise perfect condition. ONLY ONE AVAILABLE FOR SALE.